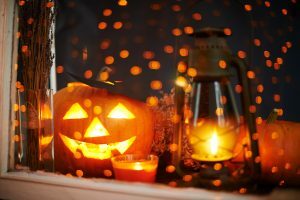 What To Do With Your Pumpkin Post-Halloween – Ekana Nursery & Landscaping, Inc.
Stores and orchards are filled with every type and size of pumpkin and only a small fraction make it into a pie. The rest are placed inside and outside the home for spooky decorations, but what happens once the holiday is over and you have 10 pumpkins sitting in your front yard. Don’t just toss them in the garbage or throw them at people named Ichabod running across bridges. Here are some ways to can make use of those pumpkins after the ghosts returned to their graves. Remember how we said only a fraction make it into pies? Halloween may be over, but it’s still fall and the perfect time for pumpkin pie, pumpkin soup and pumpkin puree. You need to cut open the pumpkin and scoop out the pulp and remove the seeds. pkin skin fries, pumpkin spice lattes and many other delicious recipes. Depending on how many pumpkins adorn your yard, you might be able to feed an army. Halloween may be over, but Thanksgiving is just around the corner. If you have a few pumpkins that are mid-sized and look nice, then use them in a cornucopia-esque decoration. You may not have a horn of plenty lying around, but a pumpkin makes a perfect centerpiece for a plentiful decoration. Place one in the center of your dining table surrounded by apples, pears, dried corn, etc. for a quick and easy Thanksgiving decoration. A few pumpkin spice scented candles and you’re good to go. You probably don’t realize that a pumpkin is filled with nutrients and antioxidants that help brighten and smooth skin. It might even take care of a few wrinkles. You make a puree of the pulp, add a little milk, honey and some coconut oil. Put it on your skin and you’ll feel great. If a pumpkin hasn’t been carved, then it can easily be saved to do many things. If it has, then odds are it’s already deteriorating. If you have a garden and want to help it along with a few extra nutrients, then cut up the pumpkin into smaller pieces and toss them into a compost pile. Come spring, mix the compost into the top soil. Ekana Nursery and Landscaping is your one-stop shop for all things green and flowery. We have an expert staff ready to help you, so contact us today and find out what we have to offer.